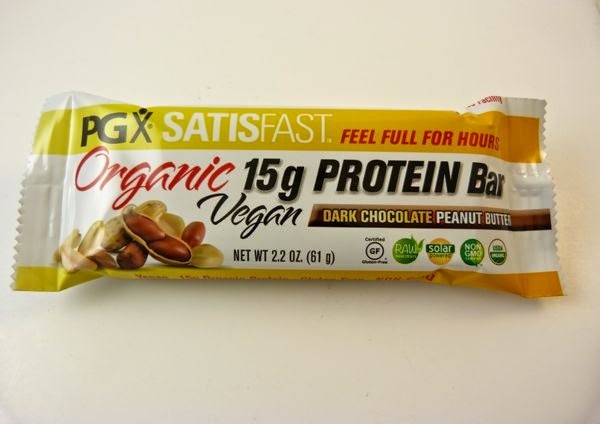 InovoBiologic (Monroe, WA; and BC Canada) has done an admirable job of serving a market niche for an organic, vegan, non-GMO and gluten-free protein bar with their PBX Satisfast 15g Protein Bar line. There was a dark chocolate coating around this bar, and a subtle peanut butter flavor throughout, but I was conscious that I was eating a protein bar first and foremost. Despite a slight chemical or alcohol* aroma when I opened this wrapper, the bar itself contained no "off" taste. It had the texture that most protein bars do, which is to say, not quite the wonderful creamy smoothness of a pure dark chocolate bar, but this one was not bad as protein bars go. And it left no scratchy feeling in my throat -- a temporary sensation I've felt with other bars in this category. And I did appreciate a morning chocolate "meal" that was not too sweet, and was relatively satisfying and filling. 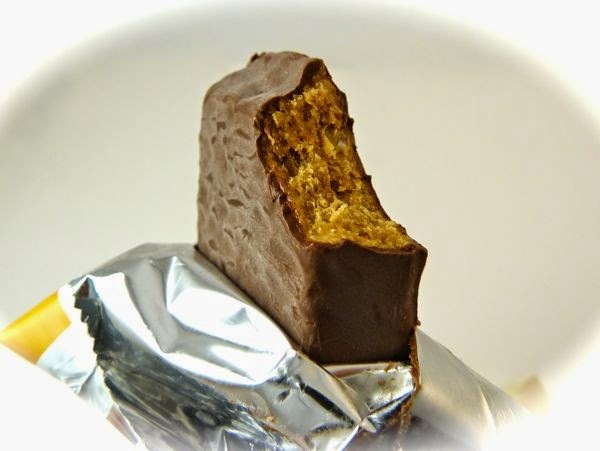 *Total Carbohydrate listing for this bar was 27 grams, broken out as follows: Dietary fibre - 4 grams; Sugars - 11 grams; and Sugar Alcohols - 8 grams. Protein was supplied largely by Organic Brown Rice Protein, Peanut Butter, and Pea Protein.